The new Huawei Nova 3 will be available for preorder in the Philippines from August 4 to 10. The first day of release, as you may have guessed, is August 11th, a day after the preorder period for the top-shelf midrange phone ends. Suppose you’re keen on getting the phone when it drops at local retail. You may be wondering what to expect from inside the box, which features should take high priority, or why the Nova 3 has been getting so much buzz lately. There may be plenty of questions that only time (with the device) could answer. 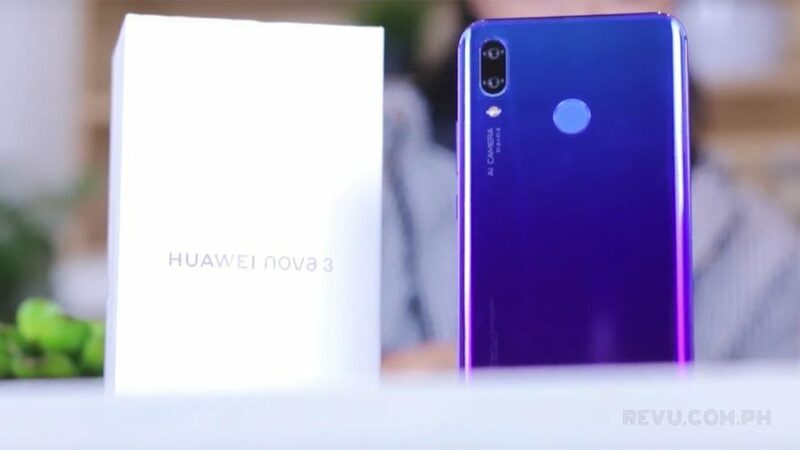 And to cross out some of them, we’ve put together this video showcasing the Huawei Nova 3 — in all its purple-y-licious goodness — as well as pretty much everything else that comes with it. Do give it a watch below, and let us know what you think in the comments. If you have questions about the smartphone, drop us a line and we’ll be sure to answer it the best we can. Wait for our in-depth review as well.